SILVER SPRING, Md. 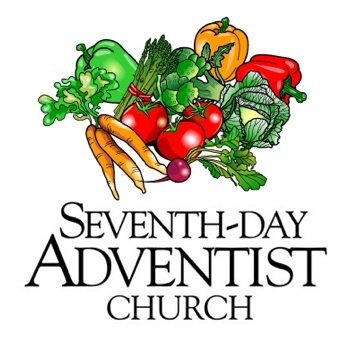 --- Meat-eating Seventh-day Adventists may soon be a thing of the past. In what analysts describe as a tightening of religious identity, the Adventist Church is contemplating adding a 29th Fundamental Belief (mandatory vegetarianism) to its existing 28. "If all goes as planned, vegetarianism will no longer be optional for Adventists come mid-2015," said Jerry Brinckerhoff, GC Health Ministries Director. "We've been building up to this moment for over 150 years as a church, and I am proud that we are finally close to taking this momentous step." Voting on whether or not to make vegetarianism mandatory will take place at the 2015 General Conference Session in San Antonio, Texas. The measure is likely to pass by a wide margin. "We have always defined the cutting edge of healthy living as a movement and it is high time we took the bold step of returning completely to the diet of Eden," said Brinckherhoff. "This will separate real Adventists from FunVentists that are watering down our identity by sneaking chicken salads and sumptuous steaks into our church potlucks." The Association of Adventist Book Centers has officially welcomed the news and has already reported a notable spike in its food products. P.P.S. I acknowledge my sin in missing the extra s in dessert. My bad. This is not a joke but this rather a standpoint for the church. What you eat and use it is an individual choices. My take they are suggesting which the wheel power of buying lies upon us. If you agree that we need to move forward with Vegetarianism, its good but not forgeting it will take time for other to do so. The problem is the change here not necessary meat, lot of things has been introduce and we were skeptical but now we are ok. Lets give a chance our leaders to lead the way God wants them to lead. They prayed before they suggest this anyway we are still going to vote for this. if you are against make your voice heard however if your vote was defeated pray now that you will accept whatever outcomes will be. Lets allow the Holy Spirit directs us through our leaders. You may not know the real true reason for the meat substitutes. They were developed as a deterrent for masturbation in children as well as adults. Meat caused the passions to race and that would cause you to die. Check out the book by EGW “Appeal to Mothers” It can be googled on the web. Maybe I can now buy WHAM without the “W”! My Big Franks will now be the real stuff. But, I can now eat Hebrew National products as approved by a “Higher Power” than the GC! Way to Go!! What a booming business for the ABC’s to be retrofitted into an Arby’s, Denny’s, Fuddruckers’s, Sonic, etc. I really want a veggie-Hardee’s burger with non-GMO french fries, soy vanilla milk shake. YUMMY-YUMMY–GOOD FOR YOUR TUMMY. The only thing that bothers me about it is that Soy beans are now GMO because of Monsanto. Answers to this would be appreciated. How do Adventist feel about it? Exactly! Not only that but soy really shouldn’t be consumed in large quantities. I don’t eat any of the “fake” meats because they’re terribly unhealthy, full of GMO’s, they’re not organic, and the ingredient list is way too long for me!! Most Adventists I have spoken to do not seem to care about GMO. I guess it’s because Mrs White never said anything about it. They do, however, get all excited about her statements on “amalgamation”. Go figure. What a flying load of hog fat! How do people get so bitter over a church they no longer go to. Go, Have fun. Leave us in peace. That’s not too much to ask. Kind of a treat others the way you want to be treated. I won’t ridicule you. Would appreciate the same courtesy. Maybe some people feel they wasted a lot of their misspent youth going to a church that worships nonsense . . . like masturbation and eating meat are the two leading causes of death and disease. I think it’s amusing that the Adventists (I was “born” a 3d gen SDA) have had their “health message” for 150 years, but Whole Foods has done a thousand times more to change the way the rest of America eats than the Adventists ever will. There is absolutely nothing entertaining or redeeming about this site. In fact, it is apparently rather difficult for some people to understand that, as tasteless and useless as the information posted here is, it is somehow meant to amuse and entertain. Someone. Somewhere. At least that’s what the apparent intent is. Almost every time I come across one of these posts I cringe because I realize that someone will mistakenly believe the farce to be true. Wouldn’t time be much better filled doing something useful for God and humanity? On the contrary I find them both amusing and thought-provoking. There are Madventists, Sadventists, and Badventists. I’m a Gladventist.i gleaned what I need! Most SDA’S cringe at the “cult” word… But for the love of God, they even sell us our food? Really??? I’m a Gladventist …… GLAD I left!! The stories here at BA are satirical, and satire works ’cause it illumines truths . . . in a new light. I think they’re great, entertaining, redeeming. Adventists don’t like to look in the mirror . . . they don’t like to have any idea how they are seen by Unbelievers . . . or how Unbelievers don’t fit their image of bad people and sinners . . . after Rio Lindo Academy I went to a community college, and I was shocked! SHOCKED!! at how nice and decent and good people most of the Unbelievers there really were. Adventists deny that the Papacy is infallible, but they believe that the Bible (which is full of ambiguities and contradictions), EGW (who wrote a lot of sense and a lot of nonsense) and the General Conference (the Adventist Vatican) are infallible. If vege-meats and some processed vegees are not good to eat so dont eat them. Use your common sense. The point is, the unhealthy food is sold @ SDA institutions. Even Public Schools have replaced some of their unhealthy choices. Offering/selling this sends the wrong message. The health teachings of Adventism are a misnomer. They are rigorously following the Bible’s health’s proclamation that human body is the temple of God. Therefore, we are not to defile our most precious body by eating unhealthy food; and instead the Adventist Church adhered to a vegetarian diet which E. G. White herself admonished to follow healthy diet protocol. The problem with sticking to the lacto-vegetarian diet is hard to achieve especially of many SDAs who have difficulty in adjusting to a strict vegetarian diet. Furthermore, some people (SDA) if not all still consume fish, sea food, and some other questionable unhealthy food products. I am very grateful that the Adventist health teachings are to be strictly followed not of religious practice but of health reasons. The term vegetarian is no longer accepted in the health and science community but rather the word “vegan” is now the in thing and the future holds for the whole food plant-based-diet phenomenon. If God says it is clean meat, I see no problem with eating it. What you eat doesn’t have any baring on salvation, so it doesn’t matter. This article is one of my personal favorites. So another doctrine forced down “literally” our throats! God gave us freedom…to choose between good and evil…The church (man-made) is taking that away from us? Besides, I don’t believe eating meat or other things…beyond the churches’ doctrine… is a salvation issue. The bottom line, Jesus saves! Not the church. Yes, Jesus saves, not church membership, but the church is not man made its God made we just happen to be the ones who comprise Gods church. The Church is the institution on this earth that God bestows His supreme reguard. Is it perfect? By no means but it’s this imperfect group that Christ makes perfect by his blood and will claim as his bride. I would have to take issue with your use of “The Church” as the “…institution on this earth…”. Our church leadership wants us to believe that so we will support them. But careful reading points to the “Body of Christ” as a collection of believers in His redeeming power, not an organized institution. Otherwise we may find ourselves being deluded that our church leadership is infallible…. The church is indisputably man-made. What he does say is, “Sell what you have, and give to the poor” (Luke 12). Ouch! He doesn’t say a thing about vegetarianism as an article of faith. Hopefully, Vegetarianism will not be in place as the 29th Fundamentalist Belief in the World Church GC Meeting agenda in San Antonio, TX next year- Bound for Heaven? How about those righteous people who will join our Church soon during the last day events scenario, what will they do? then, do you still have to inform them to become a vegetarian even though there’s nothing to eat @ that time, except meat, fish or chicken on the markets. No kiddin’ …..God bless you all the readers. I’m with you on this… it seems like a step backwards not forwards. It seems exclusionary… The Jesus I know wouldn’t do this. You guys do know this is a satire website right? Pre-blessed Big Franks is sure to get us from sermon to potluck consumption in record time. Clearly one of the greatest spiritual enhancements in generations. Let people eat what they want or prefer to eat. We can give information, we can give warnings, but it’s theirs if they want to listen and believe or not. Most people are stubborn mainly because of their beliefs.